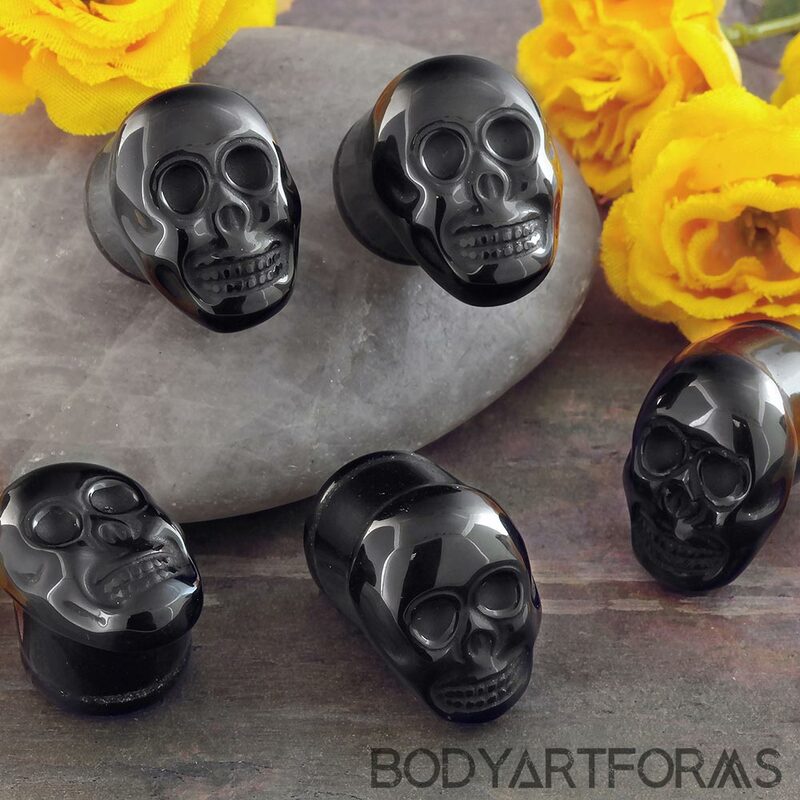 Hand carved from black onyx stone, these single flare sugar skull plugs are both festive and fashionable. Available in 5/8" size. The skull design can vary slightly from plug to plug. The wearable area for all sizes measures 5/16"
The overall length measures between 3/4" and 1"